The Therapeutic Training Center is pleased to host the Craniosacral programs and classes taught by Lauren Christman, LMP, CCSP, CBSI/KMI. These programs and classes, initially developed by Ursula Popp, LAc, VCST, CC, is based on the philosophy and methods of A. T. Still and William Sutherland. The approach is also deeply influenced by the work of John Upledger, Hugh Milne, Jean-Pierre Barral and select biodynamic approaches. According to Ursula Popp, "Lauren Christman graduated from my program in 2003, has assisted me in many classes, and was very instrumental in supporting my program when I started on my own (after I left the Milne Institute). Having her step into my program and continuing it could not be more fortunate. I am very grateful and excited to know that she will continue what I started, crafting it with her own unique signature." For more information about Lauren, please see her Instructor Biography by clicking HERE. About Craniosacral: Craniosacral therapy has evolved from roots in manual osteopathy into a method to a gentle, effective mode of treatment for people of all ages and conditions. Using our clarity of attention and depth of listening, we support and guide the body toward balance. Treatment focuses on the fluid body, which bridges the physical, emotional or spiritual dimensions. Craniosacral is centered in stillness and witnessing the unfolding patterns of health, first through the fluid body (the “Tide”) and then further into the dense body. Perceiving and working with this intelligence requires a foundation in structural anatomy, particularly of the cranial bones, membranes and central nervous system, and a thorough appreciation of the functional nervous system: the sympathetic and parasympathetic responses to safety, stress and overwhelm. Together, structure and function are expressions of our health and intelligence as human beings. 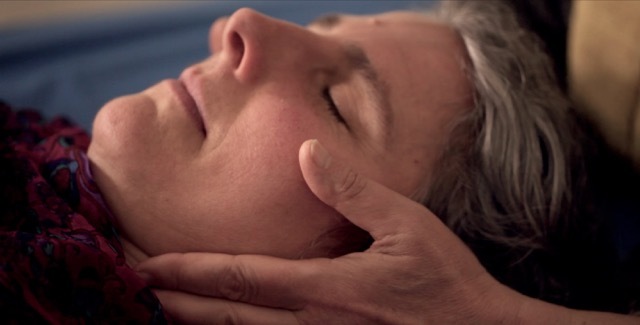 Engaging and freeing the body's self-healing capacity is the goal of craniosacral treatment methods. These methods are gentle – usually accomplished with light touch – and keenly directed – using on-going assessment and simple interventions to invite change. Each session is a creative dance with the integrated body-heart-mind of the client. About These Craniosacral Programs: These programs integrates two primary branches of craniosacral therapy: biomechanical and biodynamic. Students learn a variety of perceptual skills, foundational anatomy and physiology, assessment methods for local and systemic imbalances, and treatment approaches for each of the three ‘tides’. Additionally, students are encouraged and supported in deepening their self-understanding and self-care practices – fostering the personal maturity and presence that this subtle work requires. 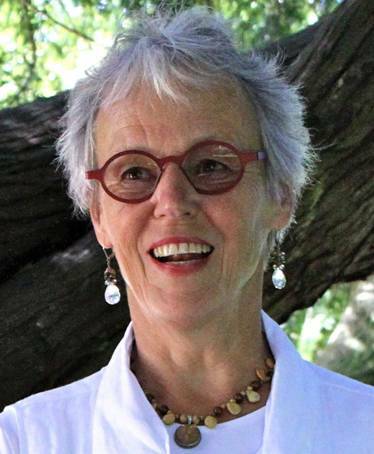 Ursula Popp: Recognized as a leader in Craniosacral Therapy education and progressive hands-on healing modalities, Ursula Popp offered state-of-the-art classes for healthcare professionals. 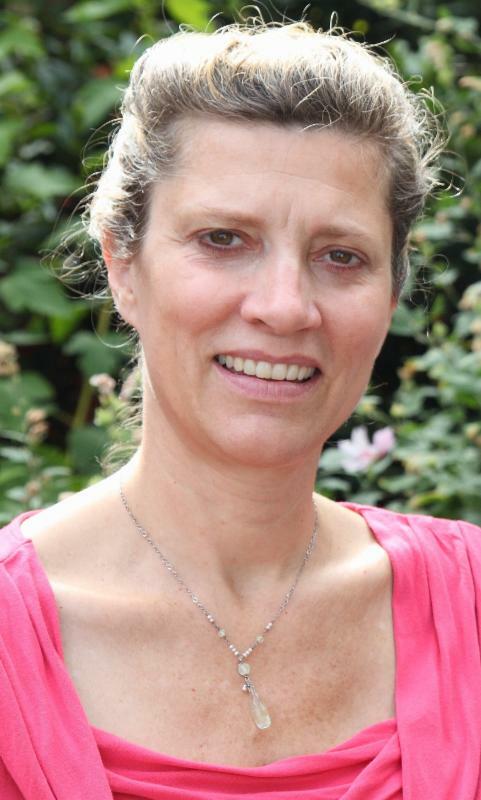 She brought to the classroom over 20 years of experience in the field of healthcare and personal development and her expertise in Counseling, Coaching, Craniosacral Therapy, Acupuncture, East Asian Medicine, Zen Meditation and Spiritual Mentoring. Ursula is retiring in 2017 and has turned her program over to Lauren Christman to continue beyond 2017. Registration and class details are provided in individual class descriptions and programs. Next Core Series and Certification programs will begin November 6, 2019. Green Colored Classes: The 2018-2019 Core Series is the current set of programs, it begins on November 14. Blue Colored Classes: The 2019-2020 Core Series is the next set of programs, it began on November 6. Note: Students can start with the Core Series and decide to certify at some later point. All classes are from 9:30am to 5:30pm. 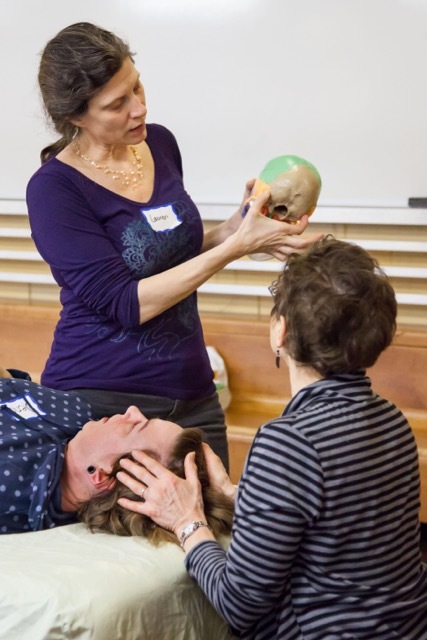 This class introduces basic Craniosacral techniques and provides the analytical understanding of the related anatomy, physiology, and pathology including the core link between the cranium and sacrum, the cranial wave, and individual cranial bones. In addition to the technical and analytical learning, students will practice techniques to develop sensitive hands, an open heart, and the inner stillness needed to apply this work. 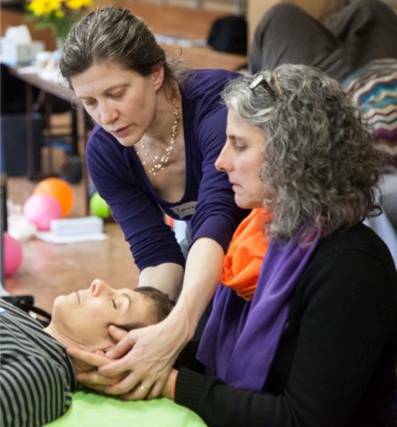 At the end of this class, students will have the foundation for cranial therapy, including the theories, the personal presence, the ability to perceive the cranial rhythm, and the most fundamental hands-on techniques in Craniosacral therapy. This class is a pre-requisite to the Craniosacral Certification Program, Core Series, and some Elective courses. Craniosacral Core Series Next Core Series begins November 6, 2019. Prerequisite -- Craniosacral Introductory Workshop or permission from Instructor. Craniosacral Certification Next Certification begins November 6, 2019. 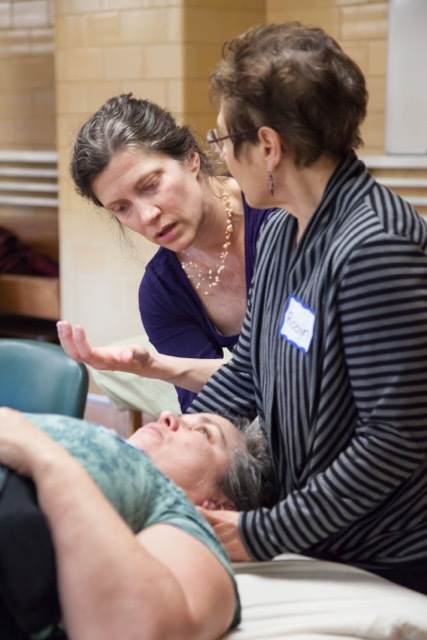 The Certification Program is expressly designed for students who want to dedicate themselves to developing Craniosacral therapy as a primary modality in their practice. It offers a highly focused, in-depth training with the exploration, supervision, and feedback necessary for students to develop a full Craniosacral practice with competence and confidence. Being certified also allows the practitioner to market themselves with a tangible credential. Upon certification, with their permission, Crafted Touch lists practitioners on its website as part of its referral network. The Certification Program moves students beyond the foundations of protocol-driven treatments to a wider range of treatment possibilities, and fosters the skills of moment-to-moment decision making as well as the depth of presence that prepares them to accompany their clients through their discomfort, pain, and pathologies toward genuine healing. 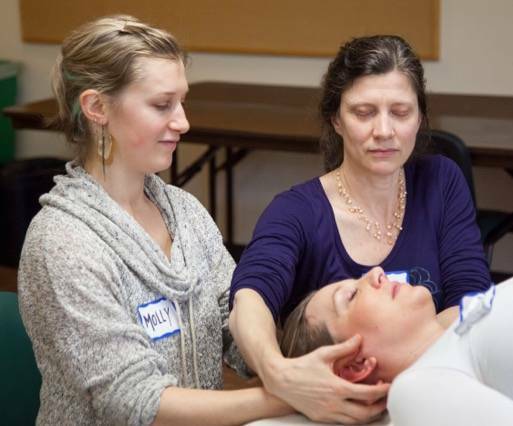 The Core Series provides the foundation of craniosacral knowledge and application; the Elective Classes enable students to expand their technical and interpersonal skills following their own interests. The added time and study allows for deepening into the work within a supervised and collegial circle – honing intuition, personal depth, and their trust in their healing abilities. For optimum learning, students are asked to complete Certification within 24 months of completing the Core Series. Certification begins either with the start of the Core Series or students may elect to start with Core and switch to Certification at any point. These unique classes are designed to enhance and expand any practitioner's ability to work with clients. Some classes require students to either take the Introductory Workshop or receive Instructor permission to attend. Anyone who has previously taken these classes within the past 5 years is eligible to review them at a reduced price of $225 for 3-day classes (regularly $410).